Nine months after their comically abbreviated RV road trip, detailed in the award-winning book, STASHES, the Breeden family farm routines have stabilized: Jackie returned to her high school cafeteria job and their only son, Brandon, works alongside his father, Steve, in the family micro-dairy. But then an outsider arrives, claiming to be kin, and HASHES & BASHES begin. I’ve been looking forward to another humorous and heartwarming novel from P J Colando, and let me tell you, “Hashes and Bashes” kept me alternating between laughter and tears. 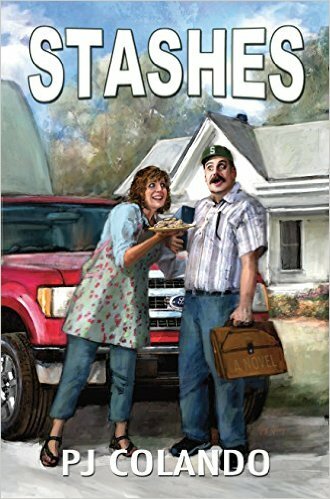 Her first book was called, “Stashes,” and you can read that review by clicking here. Now, grab a seat and let me tell you about this book because you’re going to love it! What sets P J Colando apart from many others is her ability to draw the reader into the life of her characters. As the reader, you feel like you are her protagonist’s (Jackie) girlfriend and she is sharing with you what is going on in her and Steve’s life while the two of you are drinking tea and eating scones. This makes for some great storytelling. Jackie and Steve are so real to life, you expect to run into them while running errands in town. I know I did at least. Jackie and Steve represent the perfect Midwest farm couple, hardworking and steadfast. You sense their love for one another seep through the pages. When Carl shows up, Steve’s brother from his mother’s WWII love tryst and given up for adoption, the Breeden family welcomes him into their nest. Carl and Steve bond through a common acknowledgment of shared genealogy. However, that leaves Steve’s brother David out in the cold. David is the brother you wish you didn’t have, while Carl is likable and real, like Steve. A Prodigal Son triangle develops with impressive results. Once you throw Brandon, Steve and Jackie’s son, into the mix, the results are hilarious. Years ago I worked on a ranch in Montana. The descriptions of (AI) artificial insemination from Carl’s bull into Steve’s dairy cows by Brandon are not only factually accurate, but they are also hysterical. I laughed so hard, I cried. Yet, there is more than humor found between these pages. P J Colando breathes and writes life into the pages of her novels. Love, death, friendship, family, all find their way into her stories. Add a touch of pot-laced baking to the mix, and you have a recipe for success. The end of the book grabbed me by surprise and left me wanting more of this beautiful, and funny family! PJ Colando was born and raised in the Midwest, yet unabashedly aspired for adventure elsewhere, following her parents’ model. She lives in southern California with her husband, whose name is not Steve or Carl, the prime male characters in the ‘Jackie and Steve’ series. PJ is the author of three novels, with short stories, personal essays, and articles published in journals, magazines, and anthologies. 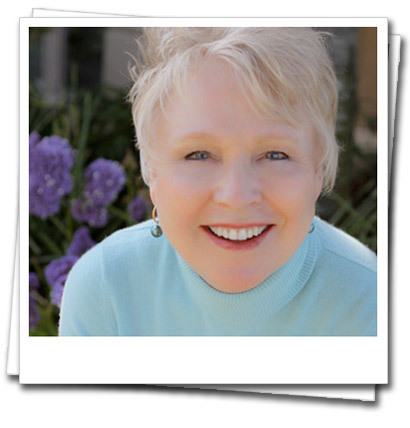 She’s earned an Erma Bombeck Humor Award, Reader’s Favorite Silver Award, and Southern California Writers Conference fiction award. 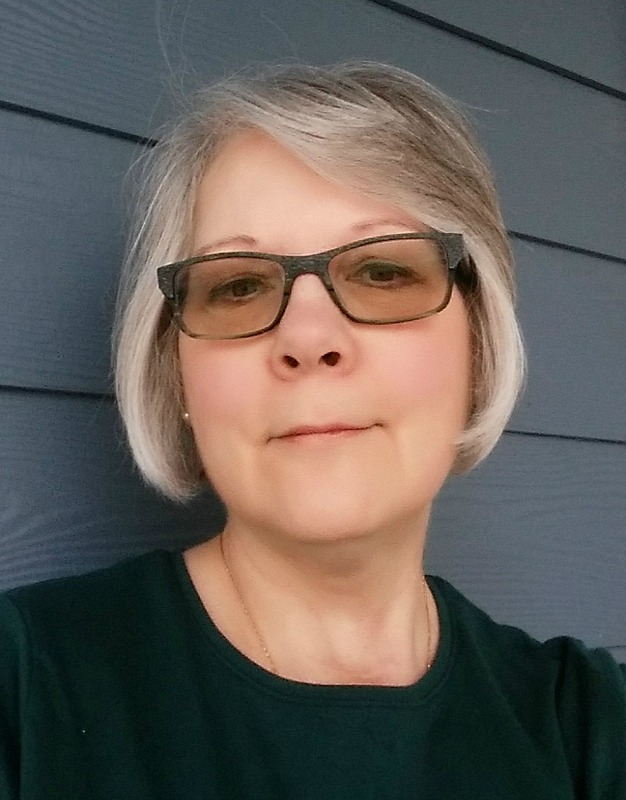 PJ writes contemporary women’s fiction and has drawn praise for her singular voice, humor and satire on contentious current affairs, and insights into human life. PJ writes funny! Join her on her Boomer humor blog on her author site: http://www.pjcolando.com and on Facebook at PJ Colando. PJ is having a blast and you will, too.